The Cathedral Choir has been in its present form since 2000, under the direction of Howard Baker (1954-2017). With the Cathedral organist, David Allison, we sing weekly at the 11.30am Sunday Mass and at other liturgies throughout the year. We are an RSCM affiliated choir. 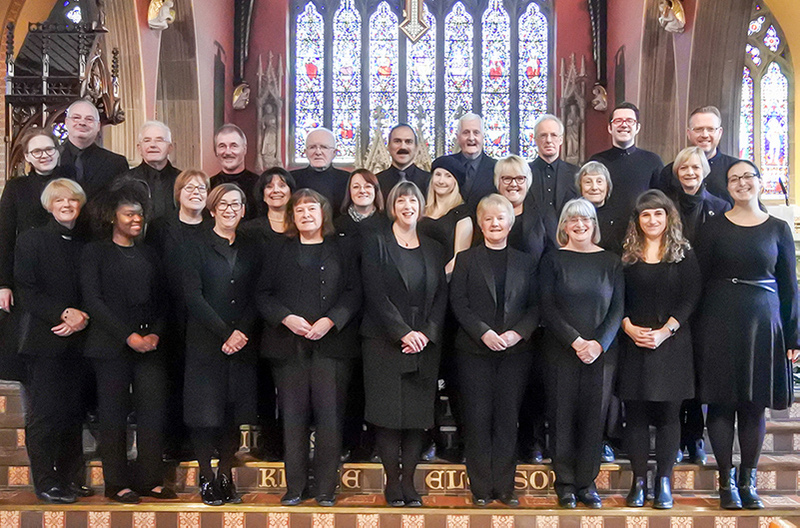 Our repertoire covers the whole range of Catholic music, from the earliest Latin plainsong to modern religious songs, and we tackle a variety of pieces of the Church’s traditional polyphony. Our main aim, however, is to provide a lead for the congregation’s participation in singing the Mass. We practise on Fridays from 5.30 to 7.15 pm. Howard Baker was Director of Music at the Cathedral from 2000 to 2017. In addition to his significant contribution to St Mary’s musical life, he oversaw many important events, including the visit of the Queen and the Duke of Edinburgh (2002) and the construction of the Tickell organ (completed in 2013).